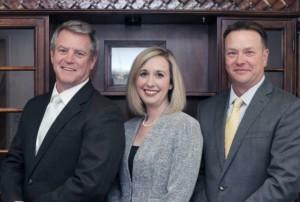 Leading Asheville, NC based personal injury lawyers, Fisher Stark, P.A. has launched a new site showcasing its services. The team has also launched a new, free ebook. The site explains that Fisher Stark is a trial law firm that focuses on fully representing the injured in court and getting them the optimal results in their case. The team has a combined courtroom experience of more than 40 years. Practice areas include wrongful death, traumatic brain injury, personal injury, trucking accidents, arbitration, catastrophic injuries, condemnation, car accidents, product liability, pedestrian litigation, and product liability law. The team knows that every personal injury case is different, and they sit down with each client to get a clear understanding of the issues at hand. This allows them to create the best case and ensure that clients are well looked after throughout the court process. Hiring a trusted law firm is one of the most important things someone can do when it comes to navigating the court system. An experienced trial attorney can work with each client to maximize their compensation. When a personal injury or accident occurs, it can be a stressful and worrying time for the injured party. Personal injury attorneys at Fisher Stark in Asheville, North Carolina, take the stress out of the situation by working with the client through every stage of the process. Fisher Stark can handle a wide range of cases, including auto accidents, back injuries, medical malpractice, car and motorcycle incidents, and a variety of others. A full list is provided on the company website.